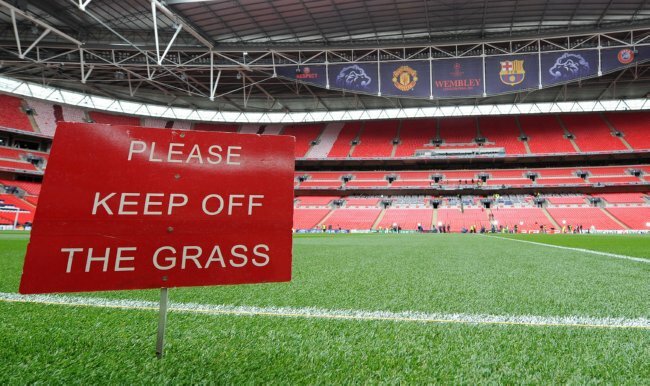 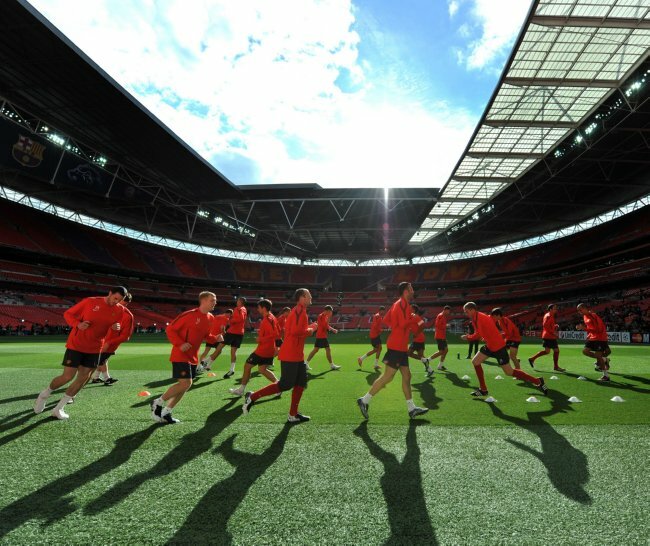 A few snaps of the Manchester United squad loosening up with a spot of light jogging across the verdant, almost carpet-like turf at Wembley in preparation for tomorrow’s Champions League final… (We were there with Heineken – thanks to them). 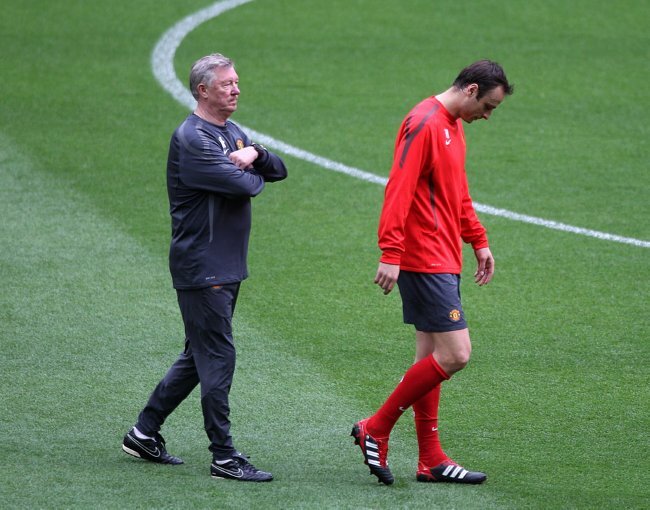 Berba: So I’ll be starting in the final right? 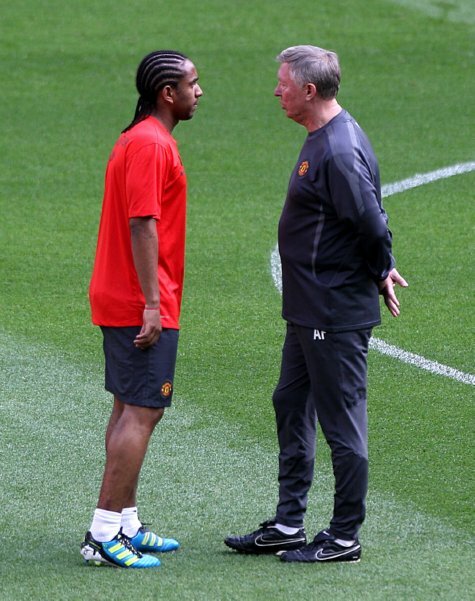 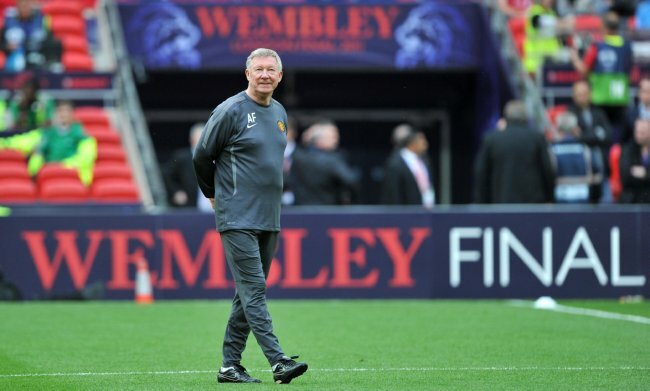 Sir Alex has some kind of face on his stomach (Photo 8).